Things start off strange on Fakuta's sophomore record, Tormenta Solar, but by the second verse of its opening track you remember (if like me you have been mythologizing Chilean pop since 2010) that you're in the company of contemporary Chilean greats who's opening numbers have a history of feeling larger than life itself ("Como Puedes Vivir Contigo Mismo," "Arde Santiago," "Mantén la Conducción," "Las Fuerzas"). Then you realize the opening track is called "Guerra Con Las Cosas." Is this a Chilean pop or an anarcho punk / metal record? 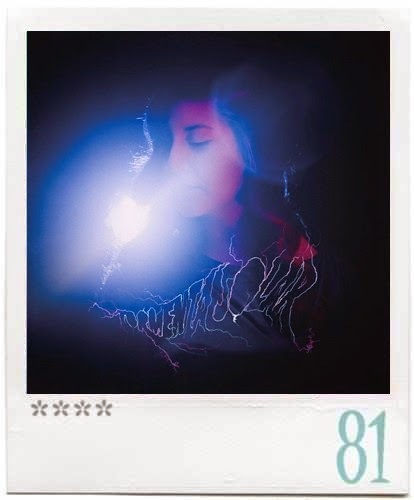 Fortunately for us, the Chilean pop gods at work on Tormenta Solar take us to a starry disco that beams back from the funky 70s and synth driven deep cuts from the 80s all in the service of what Fakuta (Pamela Sepúlveda) has described as "space pop." "Guerra Con Las Cosas" gives way to "Despacio," a likely second single and the album's biggest banger. Reminiscent of the Chicago house / freestyle mixtapes we inherited from the 90s (it literally sounds like nothing else on the album) it invites a personal speculation of what a proper Mamacita album might sound like with the assistance of Milton Mahan and Pablo Muñoz who both have production credits on Tormenta Solar. And this prospect is a spectacular possibility all its own as "Despacio" would totally play on the same dance floor as mamacita's "No Eres Tu". Anyone care to put the Latinx Divas Do Chicago House Mixtape together? By the third chorus of "Despacio" we know that for this particular track, Fakuta is making a run for the proverbial Chilean pop crown. Fakuta could have just as easily retold "Despacio" for the rest of the album (& we would have loved it) but Fakuta has much more in store for us. What does she do instead? She goes on to make deeply jarring observations about the fragile human condition- something that isn't that weird as far as Chilean pop goes if you've been closely listening to Gepe, Ases Falsos, and to a lesser extent, Dënver. From urging mankind to stop being cogs and become runaways on the excellent "Fugitivo" to the primordial appeal of walking the earth with your loved one in total liberty on the supernatural and epic "Mascota" one can't help but realize Fakuta isn't just dabbling in political theory. She also isn't crassly talking about "human rights" or reform; Tormenta Solar appeals to something much more cosmic here, something more ancient. And she has emerged as likely the best poet of the entire Chilean bunch, up there with Briceño himself. Lyrically, the album continues the cosmic interpersonal observations of Al Vuelo (and most of Chilean pop today actually). The catharsis of "La Intensidad" is one of the album's most sentimentally appealing moments. It is here where Fakuta finds the ability to move us deeply as the space pop prophet that she tends to be- consider "La Intensidad" as this album's "Virreinatos." 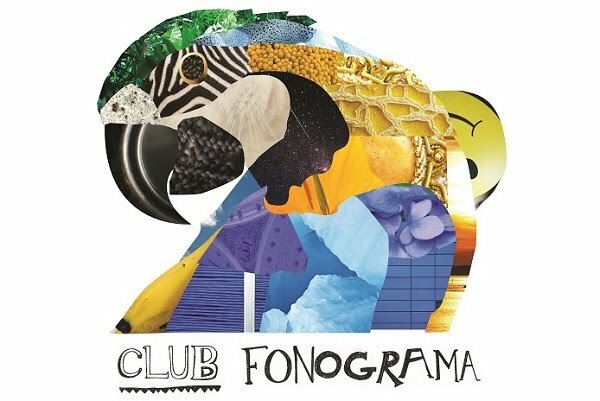 Space pop prophecy in the Chilean pop scene would not be complete without churning out a floor filler or two which brings us to "Tormenta Solar"- the single. Not on board with the rest of CF, "Tormenta Solar" was an immediate hit in the Top 40 of my heart. And the video only served to catapult it to #1. Immediately I felt like both sonically and visually the single would have found its public at Soddom & Ghomorra- a queer / trans punk house in Chicago who's aesthetic was known for everything we see in Fakuta's video: nuns in gas masks, nuns smoking bongs, pink upside down crosses, and neon automatic weapon imagery. Upon hearing the single, I immediately tweeted Fakuta: "this anthem bangs along with the the best of Flans and Fey." Her duet with rock poet virtuoso Cristobal Briceño is likely the best song on the album. Its biggest surprise is the glorious chorus which takes from the 70s funk excellently executed in Ases Falso's latest album, especially on "Al Borde del Cañon." The riveting closer "Mascota" -a paranormal tour de force- begins with its most forwardly anti authoritarian prose yet: "Los animales alzados van Contra la ciudad se revelará / Cansados de ser sumisos protestar / Hasta que los amos se rendirán." Such a blatant nod to Chile's contemporary insurrectionaries gives way to synthesized choral horns reminiscent of Camilo Sesto's "Fresa Salvaje" (excellently revived earlier this year in a sample by the Venezeulan duo Las Hermanas). The message of "Mascota" sounds like pop prophecy but considering the global scale of uprisings today, the lessons of Tormenta Solar only seem all the more urgent. From Mexico's self defense committees, to the fires of Ferguson, to Chile's Mapuche and anarcho communities, the timeliness of Tormenta Solar can at times sound like the soundtrack of a popular or personal (space pop!) insurrection. Did we also mention the album dropped on the eve of a total lunar eclipse in Aries? With all this praise we have to talk about the albums weakest track- "Luces de Verano." It is a perfectly ok song but given the context of what we're talking about- musically speaking- it ends up sounding a little like Live Aid or Teleton Music- it is a bit of a blemish on an otherwise great record. This time around the space like or cosmic offerings of Fakuta's album are more conceptual and lyrical than sonic- there are (sadly) not as many satellite like whirrings or spaceship take offs as on Al Vuelo. Missing too are what CF writer Enrique Coyotzi described as the "architectonic" pop landscapes that made her debut such a heart stopping future pop record back in 2011. Fakuta's ideas on Tormenta Solar are more direct and humanist than ever before- but gone are the adventurous and breathtaking sound collages of Al Vuelo- there is nothing that sounds like a space station disintegrating into dubstep (talking about the great "Las Partes" here) on this album. Despite Tormenta Solar not being as heroic sonically as its predecessor, Fakuta's meticulous space pop continues her legacy as a sonic constellation that shines along the brightest amongst her peers.